Kónitsa is a main town in Epiros and the gateway to the Zagorohória, a group of villages that are remotely located and regularly get cut off in the winter. 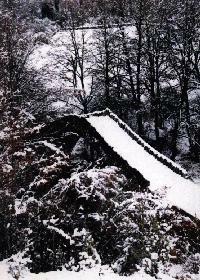 Kónitsa is a small town and has supplies both in winter and summer for trekkers and visitors further afield. 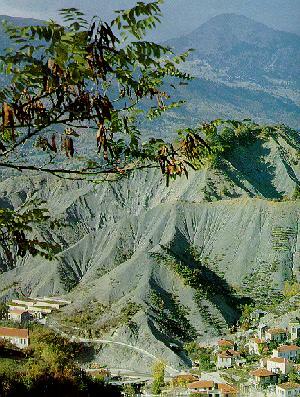 This is an absolutely beautiful little village nestled on the side of a hill, at the northern end of the Víkos gorge. It is the also the ascent site for Astraka peak at 2436 meters one of the highest. 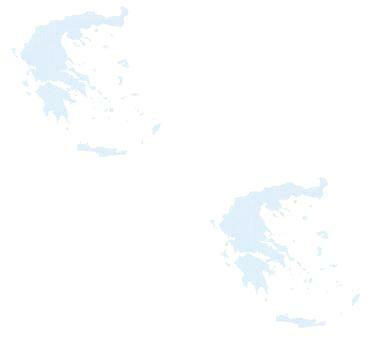 The Greek Tourist organization operates lodges in the style of lovely stone-built cottages here. The gateway to Greece's second highest mountain, Smólikas at 2637 meters. 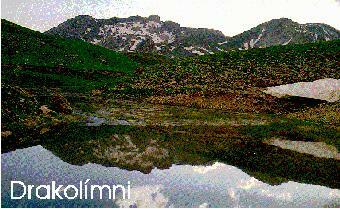 The walk to the peak is exhilarating, passing by a favorite summer camping spot next to a lake called 'drakolímni.' Pádes is not easily reached in the winter. It however has some hotels and pensions for tourists. A lovely village nestled on a hill with a very pretty monastery right in the center. Only 100 or so vilagers live here; the main tourists are Albanian illegal aliens looking for food and work. Another lovely village. There is no place to stay here except for camping, behind the church. 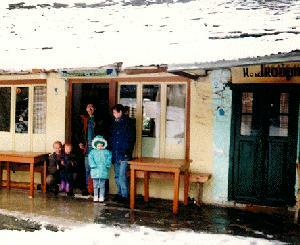 The lonely cafenío of the village serves homemade fare, normally lentil soup and boiled/then fried potatoes on sticks and local wine and ouzo. It is right next to the police station and the people are very friendly indeed. One of the nicest towns of the whole area and the gateway to bear country. Set upon a hill at 1100 meters altitude (about 3500 feet), it is alweays snow bound and exhilerating. It is also the ascent point for Kazárma peak and the beginning of many lovely hill walks. There are quite a few places to stay, the best one run by Alecos Gouras who also owns the kafenío, at left, as you enter the tope village. What's more, he speaks fluent English and is a great host full of local knowledge, including where you can see brown bears and mountain goats, foxes and jackals. 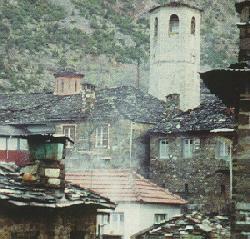 A village at the lower end of the Víkos gorge, with most of the houses built of stone, in a local architectural style. On the square there is a typical handmade textile exhibition and factory, as is a taverna which serves locally made feta cheese breads and pizzas that are out of this world! 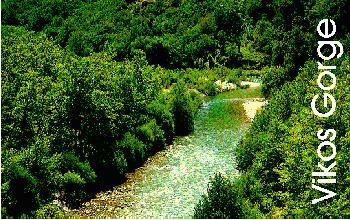 A few minutes walk gets you down towards the beginning of the Víkos gorge, which winds for 10 kilometers towards Pápingo. 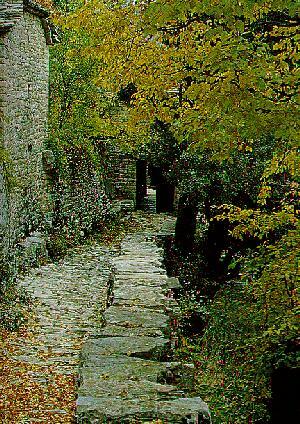 It is a long walk and recommended to those in good physical shape. In the summer there are many visitors, but in the winter, it is not uncommon to trek the entire length without meeting anyone. 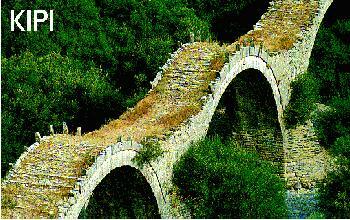 You can also head towards the monastery which overlooks the Víkos gorge and which has excellent views. For those with no vertigo, a short walk along the rock face, will bring you to hermit's corner where monks used to live inside holes made on the rock face. A nice village, with a very famous church and the beginning of very twisty road towards Fragkádes, which is situated about 12 kilometers south. Again beautiful vistas all round. 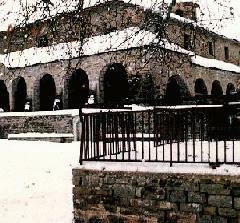 A nice town dominated by the church of Agios Ilías and about 5 kilometers further, the monastery of the same name. There is a road that leads into Albania that starts from Kalpáki, on the way to Kónitsa from Ioánina. It it about 40 kilometers to Kalpáki and another 40 to the border. Visitors, Greeks and foreigners will need visas which must be gotten at the nearest Albanian embassy. There are in London, Paris, Bonn, Rome and Athens. 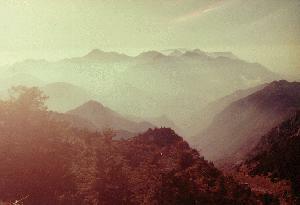 It is only a formality; you don't need reasons to go to Albania, as used to be the case. Albania has renained in the past, and is relatively inexpensive. However, the have-nots are making the life of the haves pretty bad and this of course can include tourists. Be careful! You can get additional information on Albania by clicking here.